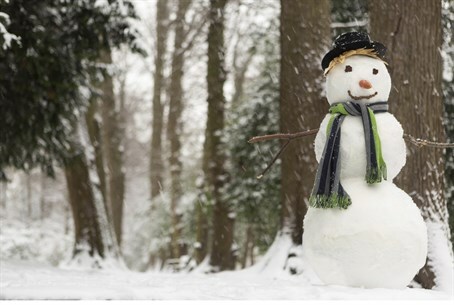 A religious scholar in Saudi Arabia has put a ban on a common childhood pastime, Gulf News reports Monday - building snowmen. Mohammad Saleh Al Minjed released a fatwa (Muslim religious ban) on building snowmen recently, claiming that building any replica of any animal or human - even for fun - could not be condoned. Inanimate objects were fine to build, he insisted. While it is unclear when the edict was issued, according to the news site, photos of Saudis enjoying the rare snow have still circulated on social media sites - and a debate has been sparked over whether the ban is wholesome or harsh. “It has no value in our traditions, and those who are fascinated by the West should emulate their inventions and sciences, not their culture,” one blogger said, according to Al Marsad news. However, Mishaal, an angry blogger, accused the fatwa of going too far. “We have snow for fleeting days, maybe even hours, and there is always someone who wants to rob us of the joy and the fun,” he posted. “It seems that the only thing left for us is to sit down and drink coffee."